Size: -- Choose Size -- Large 36" Medium 30" Small 24" X-Large 42"
The eSecure Pet Cage is great for house training, travel or simply as a cosy haven for your dog. Perfect for pooches and pets of all ages. Available in four different sizes: Small (24"), Medium (30"), Large (36") and Extra Large (42"). 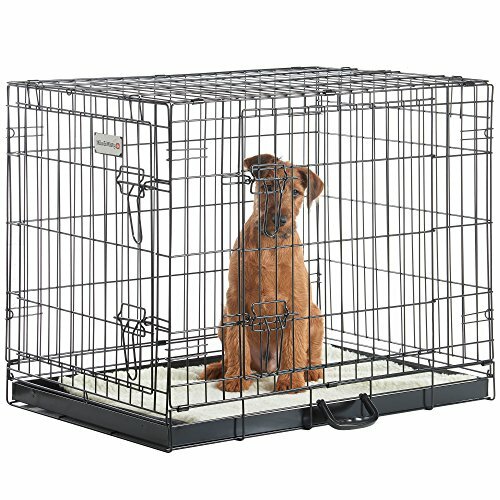 Durable cage with black non-chew, non-toxic epoxy metal coating - sensitive on your pet's teeth even if they bite the bars. 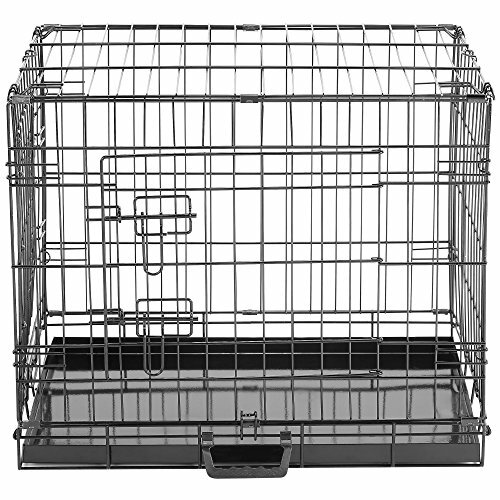 This coating is also rust-resistant, extending the lifespan of the cage. 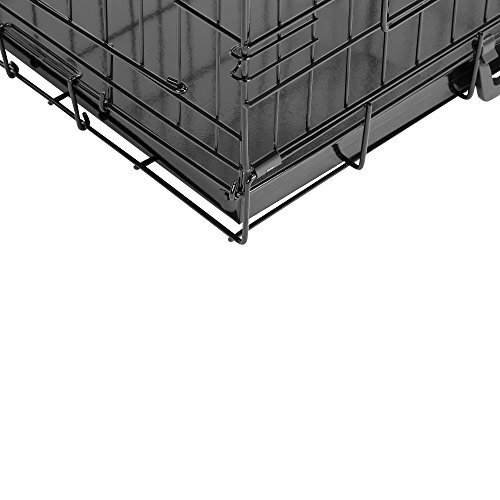 Lightweight cage folds flat for easy storage and transportation. 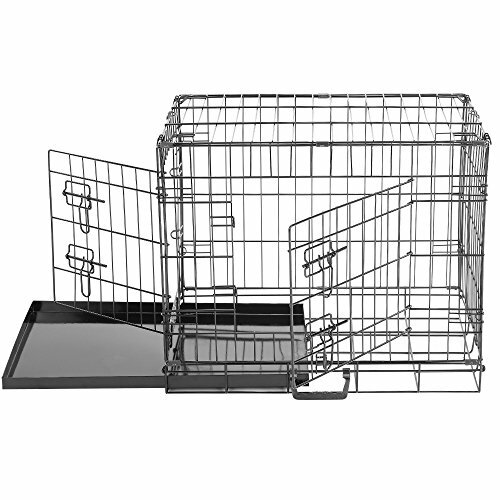 2 door design with lockable sliding latches offer flexibility for placement of the cage for easy access and safety. 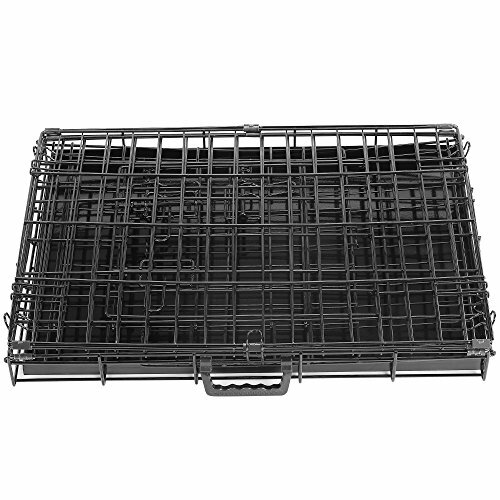 Features a removable metal tray for easy cleaning. Easy to assemble and fold down in seconds - no tools required. 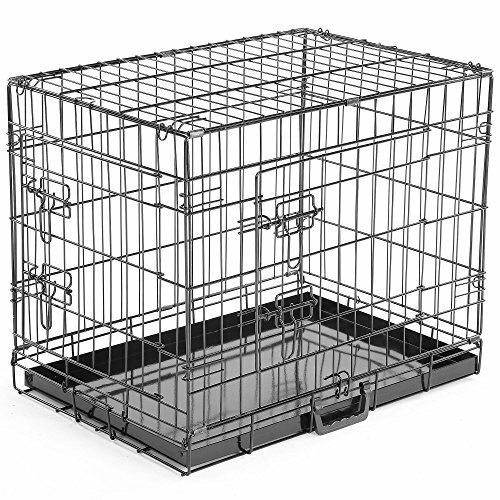 Not just for dogs, the small cage is also suitable for other pets such as cats, rabbits and rodents.